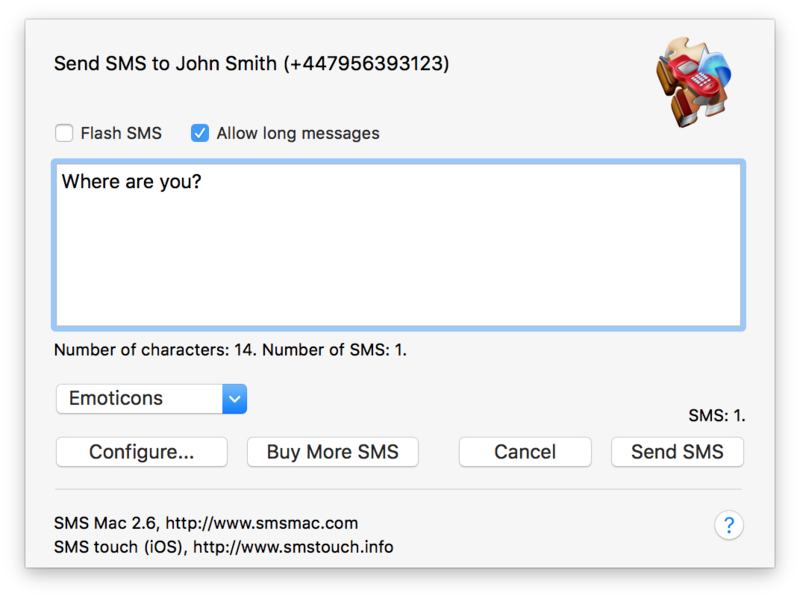 You can now enter your SMS text. Please note that the country code (+34) was added, because the Add country code preference evidently was enabled. You can look up that later in the Preferences section. After the SMS has been sent, your remaining SMS balance will be displayed.